Long garnet earrings set in sterling silver. If you're looking for special earrings, these fit the bill - they ooze glamour and style! Six glowing red garnets create each earring which falls from a round stud. A silver star completes the cascade. 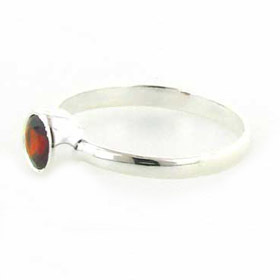 Take a look at our garnet bracelets for a garnet jewellery set.